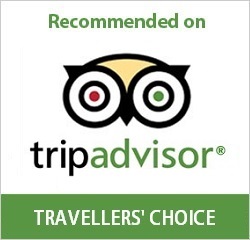 Besides Vietnam visa service, we offer our customers an array of competitively priced extra services to assist you with all your travel needs in Vietnam, including Vietnam Visa Fast-Track Immigration, Private car pickup airport, Hotel Reservation. 1. WHO NEEDS RUSH SERVICE ? For normal service, we only need to work at a maximum of 2 days compared with 3 or 4 days as usual (except for Holidays, Saturday and Sunday) to process and get your visa approval letter. However, in case your flight starts earlier than the schedule and you can not wait for 2 days to receive the letter, we offer you an Super Urgent Service or Rush Service besides the normal one in order to meet your demand on time as soon as possible. With this Super Urgent and Urgent 2 working hours service, you are able to get your visa approval letter no more than 2 hours since the confirmation of the successful payment. For 1 working day service, if your application is created and paid successfully before 09:30 AM (Vietnam time-GMT+7), we will process your document and send you the result by 05:30 P.M (Vietnam time-GMT+7) the same day. For urgent 4 - 8 working hours service: If your application is created and paid successfully before 08:30 A.M (Vietnam time-GMT+7), we will process your document and send you the result by 12:00 A.M (Vietnam time-GMT+7). For urgent 2 working hours service: If your application is created and paid successfully, we are able to send you the letter exactly after 2 hours. Urgent 4 working hours service: If your application is created and paid successfully before 01:30 PM (Vietnam time-GMT+7). We will process and send you the result at 05:30 PM. Urgent 2 hour working service: If your application is created and paid successfully after 03:30 PM, we will have no choice to process your document and send you the letter by 09:00 AM on the next day. 2. WHAT IF MY FLIGHT IS ON SATURDAY OR SUNDAY OR HOLIDAY ? In case your flight is on Saturdays, Sundays or one of the Vietnamese holidays and you do not have enough time to use one of these mentioned services because Vietnam Immigration Department has stopped receiving the documents. 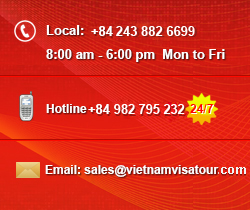 In this case, you don’t need to worry, please calm down and quickly contact us through our 24/7 Support: (+84)-944-599-554 or email: support@vietnamvisatour.com We will immediately contact the senior official of Vietnam Immigration Department to describe about your special situation. And then, we will get the special kind of visa in holidays for you.